Your correspondent has just discovered a new favourite photographer—Mr. Alexander Bassano (1829-1913)—via a Flickr set of Victorian and Edwardian actresses collected by pufferfish_76. One’s inner nerd can’t help but marvel at the resemblance actress Daisy Hancox seems to bear to another actress, one Carrie Fisher; albeit some forty years before there was a Carrie Fisher. Also of note is the timeless quality of the Mary Clare photograph, which seems like it could have been taken yesterday. 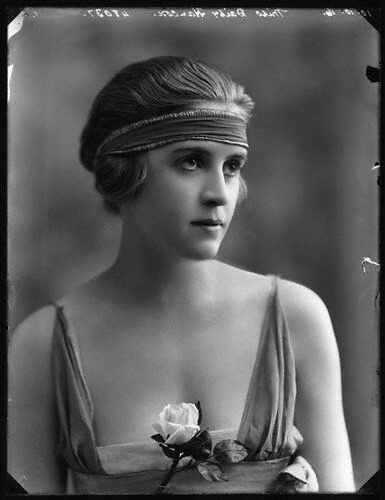 Daisy Hancox by Bassano 1916, originally uploaded by pufferfish_76. 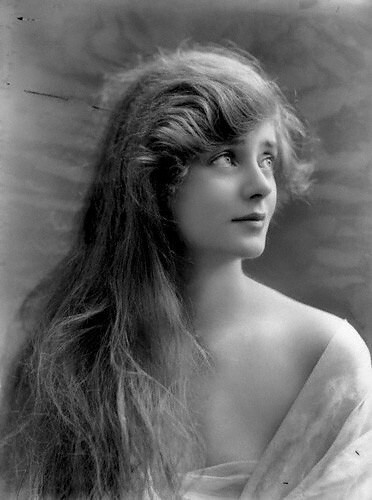 Rosie Campbell by Bassano 1919, originally uploaded by pufferfish_76. 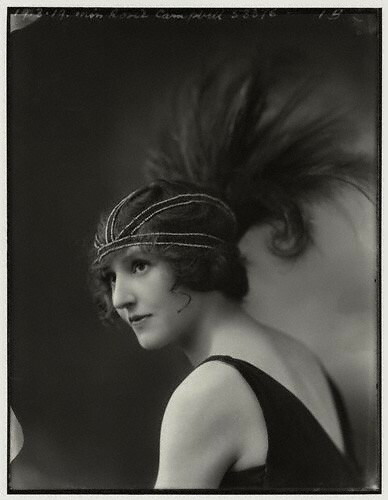 Evelyn Laye by Bassano 1917, originally uploaded by pufferfish_76. 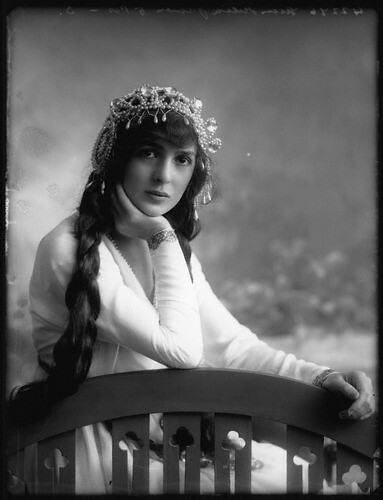 Julia James by Bassano 1913, originally uploaded by pufferfish_76. 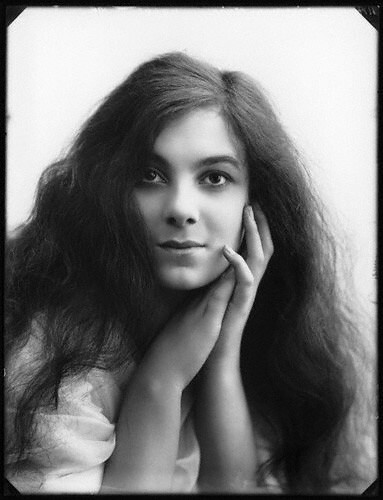 Mary Clare by Bassano 1914, originally uploaded by pufferfish_76. 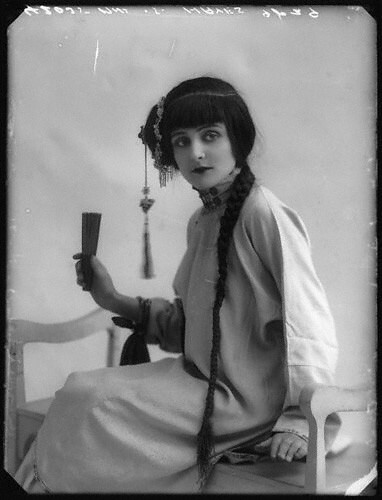 Sheila Hayes as Moy Fah Loy in ‘The Yellow Jacket’ by Bassano 1913, originally uploaded by pufferfish_76. You can also see literally hundreds of Bassano portraits at the UK National Portrait Gallery’s online collection. I was never a big fan of “Irish dancing”, but I am little awestruck by Fintan Maher’s raw talent in an art form he has never previously studied. Here he demonstrates how a talented amateur can pull off a Michael Flatley routine in front of an audience. Your correspondent was blessed by Nature with the rhythm and raw dancing talent of a blindfolded, epileptic bull in a china shop. But I can nonetheless appreciate the grace and skill required for others to execute complex choreography; so to this end the Company will serve up an occasional series of dance lessons. Today’s lesson is fellow Canuck Laurie Ann Gibson‘s cheoreography for Lady Gaga’s “Bad Romance”, with guest performer Po, of the Teletubbies. The various entertainments on offer in a London nightclub of the late 1920s or early 1930s. Carmel Myers, originally uploaded by Chickeyonthego. As I get older, I am more cognizant of the fact that the knowledge and experience that is bound up in each us is slowly but inexorably drifting toward oblivion. Even when we consciously leave echoes behind in words and images, the key to unlocking a future reader’s understanding of our times—the context—can sometimes be lost. When I re-focused my blogging on aviation and its Golden Age (1919-1939), I began to discover patterns and mysteries that are hard for a non-contemporary of the times to grasp. Then as we look at studios’ promotional images into the 1940s and 50s, it appears that actresses only appeared in ballet costumes when their performing arts background specifically included dance, such as Cyd Charisse and Vera Ellen. Although the popularity of dance has remained at a relatively consistent level throughout North America (and its modern/contemporary forms are even undergoing something of a surge in acceptance due to shows like Dancing with the Stars), ballet has suffered from audience neglect in recent decades. My reading has led me to believe that its period of greatest popularity was probably during the early to mid-19th century, when Marie Taglioni‘s pointe work in La Sylphide (1832) heralded the rise of willowy female dancers, pushing men into the background of what had until then been a male-dominated art. Ballet’s drawing power peaked, then waned across Europe in the late 19th century, although it remained a prominent form of entertainment in Russia and Denmark. Ballet then had a renaissance in western Europe around 1909, when Sergei Diaghilev founded Ballets Russes in Paris—which was at that time home to a large Russian expatriate community. Following that, ballet gained wider appeal with American audiences in the 1930s—the upper classes gravitating toward classical ballet, and the lower classes appreciating it in highly bowdlerised forms through Vaudeville and burlesque. (Robert Allen examines the claim that ballet desensitised American audiences to “leg shows”—which later evolved into burlesque—in Horrible Prettiness: Burlesque and American Culture.) Ballet had yet another great resurgence in the 1950s and 1960s as choreographers like George Balanchine recalibrated it for mass appeal to Baby Boom audiences. The studio cashing in on ballet’s genuinely prominent place in the popular imagination of audiences of that time. The studio emphasizing the dance training or natural talent of that particular actress. The studio promoting a dance sequence in that particular film. A clever attempt at providing more revealing “cheesecake” type shots without arousing the ire of censors. Some artifact of little-known cultural ephemera, perhaps dance training was compulsory for the non-headline actresses in studio pictures. There are many factors to consider, and without knowing in detail the history of each actress and her skill set, it is hard to know where to begin to explore any of the possibilities. But these are the things one notices when exploring the past, and the context is hard to discover. Prima ballerina Tamara Toumanova and premier danseur Serge Lifar, both of the Sergei Diaghilev’s Ballets Russes (and its various post-1929 successor companies), goofing off while touring in Australia through 1939 and 1940. … “It’s pretty unexpected,” Lee admitted. Although he has previously worked on metal projects – narrating several records by Italian band Rhapsody of Fire, and collaborating briefly with Manowar – he has never released an album before. This particular project resonated not just with the actor’s dark, storm-whipped soul – but with his family tree. “I am through the Carandini family [his mother’s] actually descended from Charlemagne,” he revealed. — Michaels, Sean. “Christopher Lee to release ‘symphonic metal’ album.” Manchester Guardian, 5 January 2010. We at the Company like to think of this as Sir Christopher’s belated apology for that whole Count Dooku thing, not to mention the last half-hour of The Man with the Golden Gun—where Scaramanga gets stupidly himself killed well in advance of the finale, and then James Bond spends a lot of time pointlessly fighting Scaramanga’s pint-sized henchman Nick Nack/Tattoo. RELATED: Christopher Lee singing with Italian symphonic metal band Rhapsody of Fire, on their 2005 single The Magic of the Wizard’s Dream. Also, Cracked magazine has a pretty entertaining overview of Christopher Lee’s life and career. I admit (with some trepidation) that I was unaware of Ms. Brooks’ existence until a recent post by James Lileks at The Bleat highlighted one of her performances in Weimar-era German cinema. A brief Googling indicates that even a quarter-century after her passing, and a full seventy-one years after her last film role, she still draws an ardent fan following today. One such aficionado is Laura Loveday, proprietor of Louise Brooks Online—also the source of all images displayed below. Wearing the mid-1920s equivalent of Slave Leia's gold metal bikini. Early in her dance career, either with the Denishawn company, George White's Scandals, or the Ziegfeld Follies. Studio publicity still for "Rolled Stockings", c. 1927. By Eugene R. Richee. Still from filmed interview "Lulu in Berlin", shot c1970s but released in 1984. Ms. Louise Brooks was born 103 years ago on November 14th, 1906, and died on August 8th, 1985.